Get a free subscription to F-Secure Freedome 1 year to 3 devices. VPN-service for Windows, Mac and mobile devices Android, iPhone and iPad. 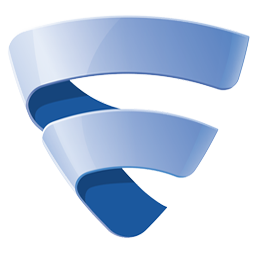 Freedome-Secure F – VPN-client for Windows, Android, iPhone and iPad, which uses an encrypted connection to protect Wi-Fi connections, blocks malicious mobile applications and Web sites, and provides anonymity on the Internet. Protect your computer or mobile device from hackers, malicious applications and web sites, block trackers use encryption to protect Wi-Fi connections and install a virtual location for anonymous online activity using the F-Secure Freedome. Available VPN-servers in the United States, Britain, Germany, Sweden and Finland with unlimited traffic. 1. Register for a free account F-Secure SAFE. 2. On the My Safe in your account, select the F-Secure Freedome. 3. Click the “Generate a voucher” and copy the resulting code. 4. Download F-Secure Freedome VPN and install to your device. Supported systems: Windows 7 and higher / Mac OS X 10.9+ / Android 4.0.3+ / iOS 7.0+. 5. 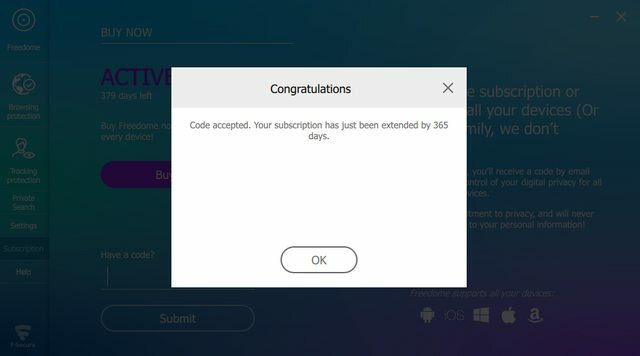 After the installation in the “Subscription” by clicking on “There is a code?”, Enter the code to activate the subscription for 1 year (365 days).